Fabulous Home, Centex Aurora plan with Second Floor Bonus Room-6th Bedroom, Bedroom and Full Bath on Main, could be great for Guests, Family Room features Corner Fireplace and Distressed Finished Ceiling Fan, Large Corner lot, Fenced rear yard with evergreens for privacy, Incredible covered Patio with Ceiling Fans and water line for out door Kitchen, Large His and Her closets in master, Floor Plan Sketch in attachments, Most of the interior has been recently painted. 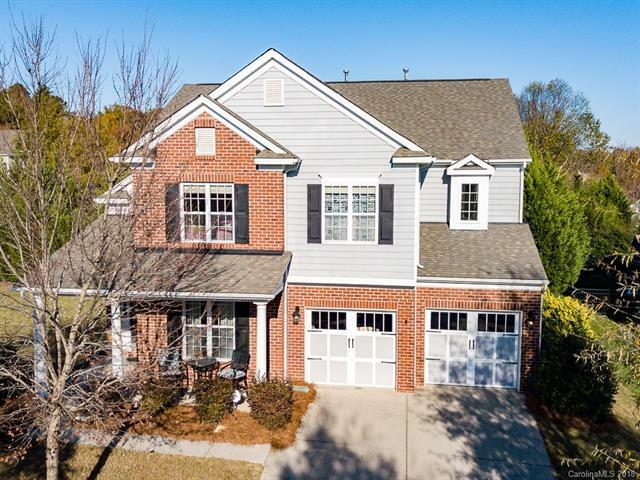 Home is in the Kensington, Cuthbertson School portion of Millbridge. This Wonderful Community offers Residence Club and so many other amenities. Play structure to remain. Refrigerator negotiable, Seller willing to contribute $500 to home warranty of Buyers Choice. Carpet is builder original, it's held up well. Seller knows carpet is ready to be replaced and is offering $5000 flooring allowance. Offered by Maxx West Realty Inc. Copyright 2019 Carolina Multiple Listing Services. All rights reserved.